Construction City is a construction game where you can control 12 machines, such as cranes, excavator, trucks, tractor, helicopter, forklift and more! Use those powerful vehicles to complete all levels! – 12 fully controllable construction vehicles – telescopic crane, excavator, bulldozer, tractor, trailer trucks tower crane tipper, trailer trucks, and even more. – level editor, create your own levels and share with different players! 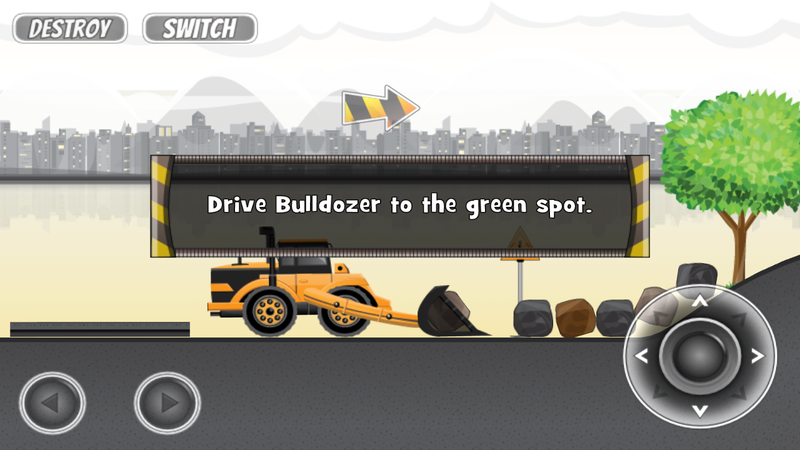 It’s like a tractor game, a driving game, and a bridge building game, all in one!